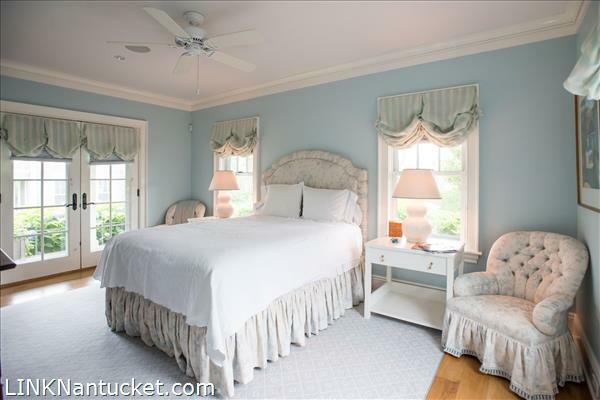 Description: 4 John Adams Lane ( 97 Cliff Road) is a thoughtfully designed and masterfully executed six bedroom main house and two bedroom guest house offering over 6000 sf of living spaces situated at the end of a shell way off of Cliff Road. 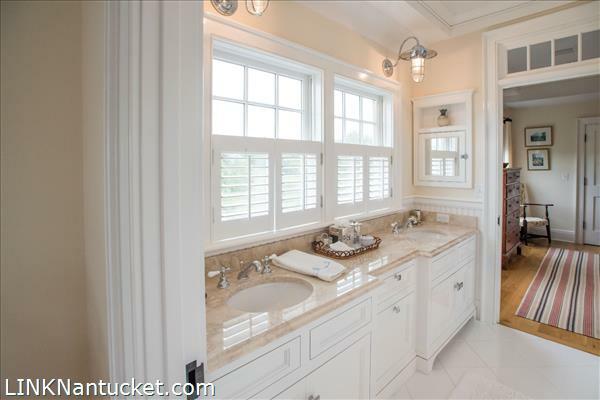 A custom finished home offering luxurious amenities and quality finishes on every level. 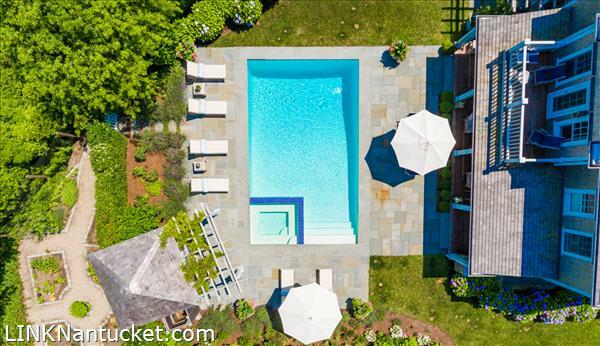 A sophisticated and comfortable home, executed to perfection, offers privacy, multiple dwellings, spacious and ample living spaces, first and second floor masters, gorgeous custom pool and stunning gardens. 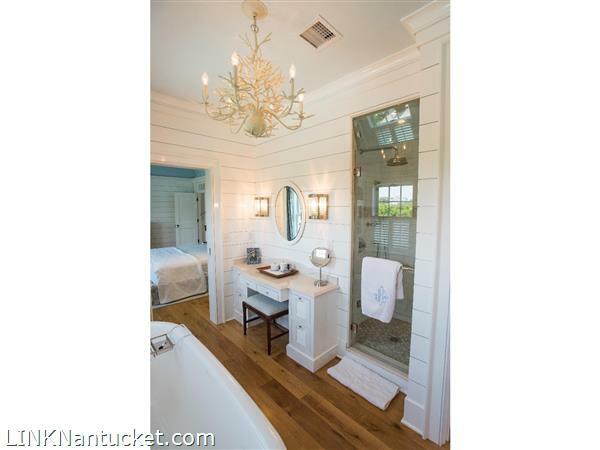 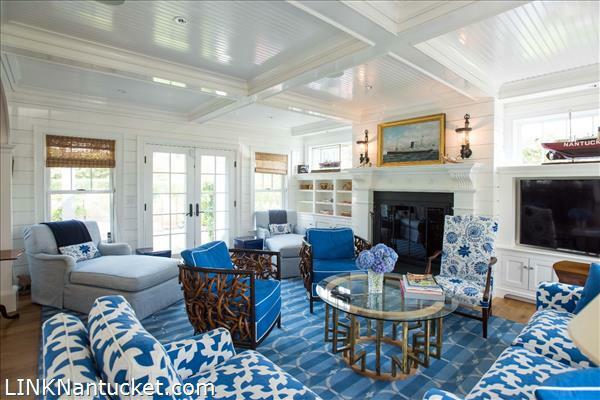 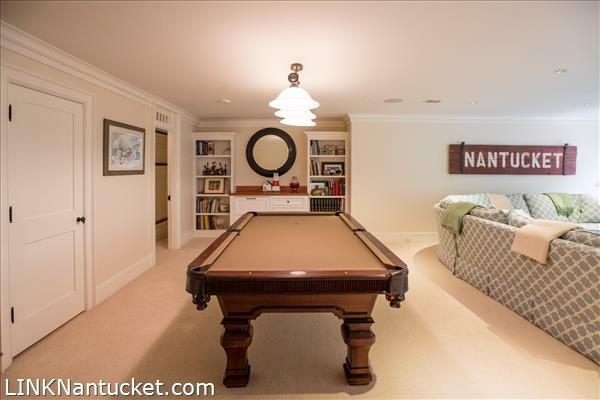 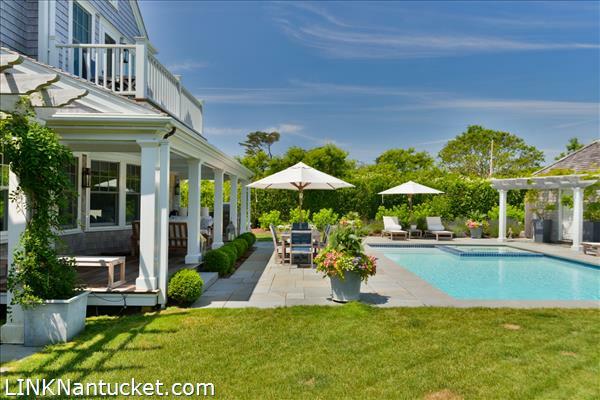 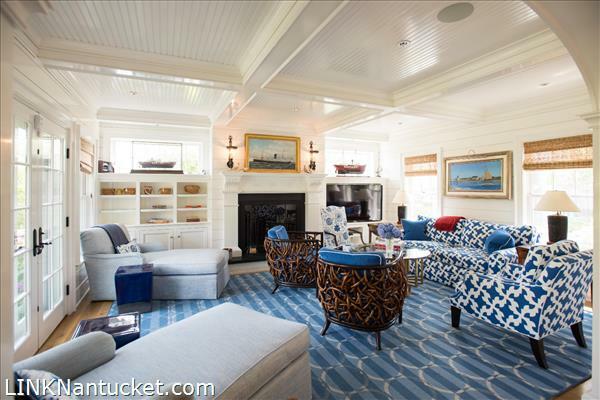 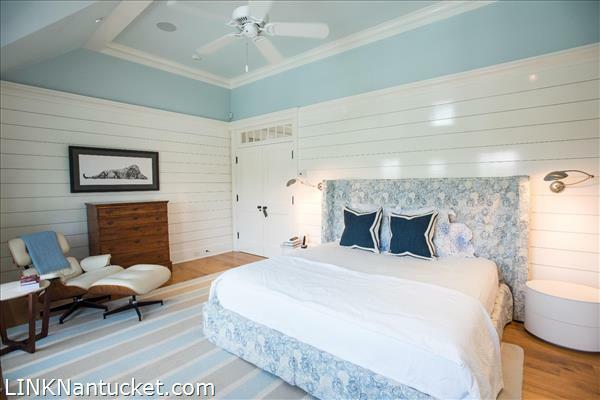 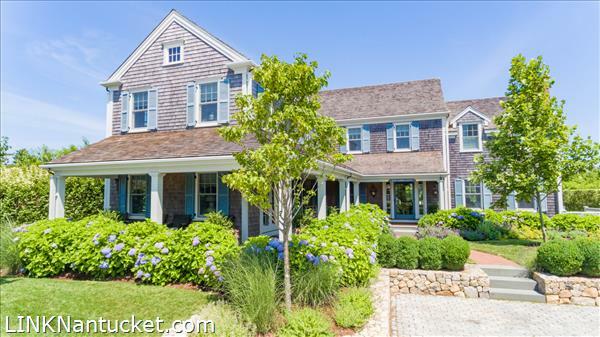 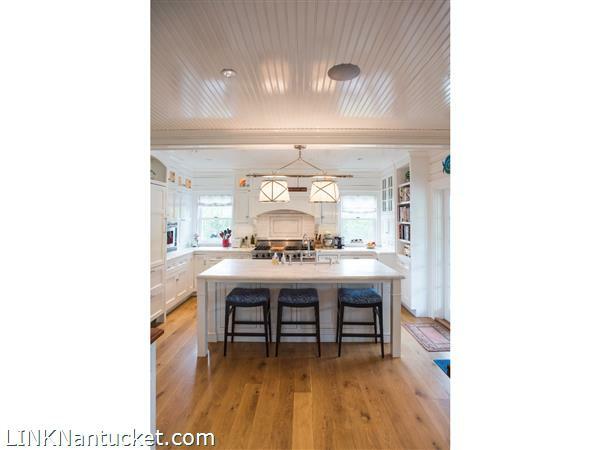 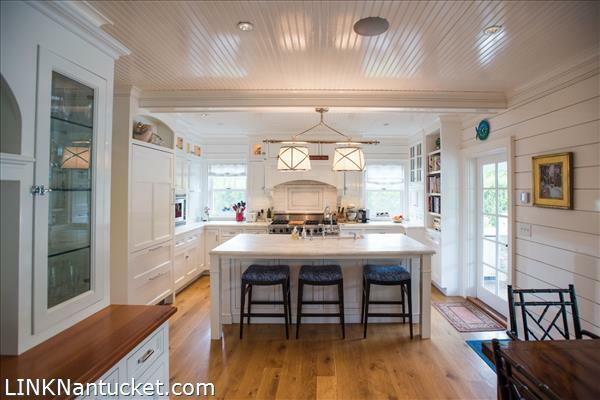 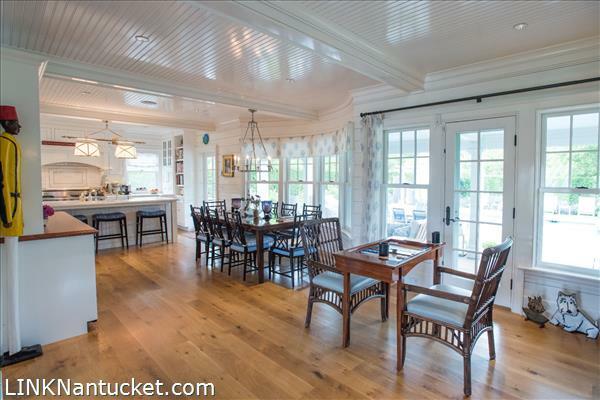 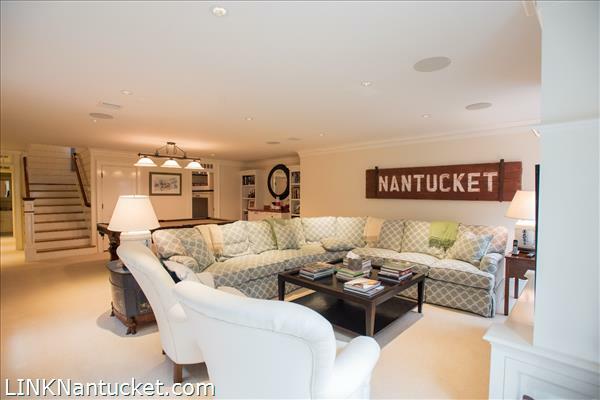 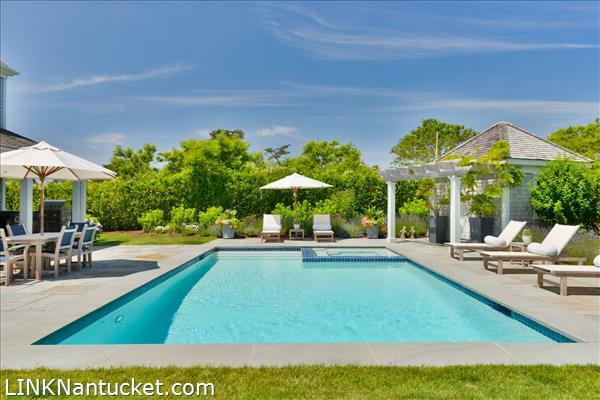 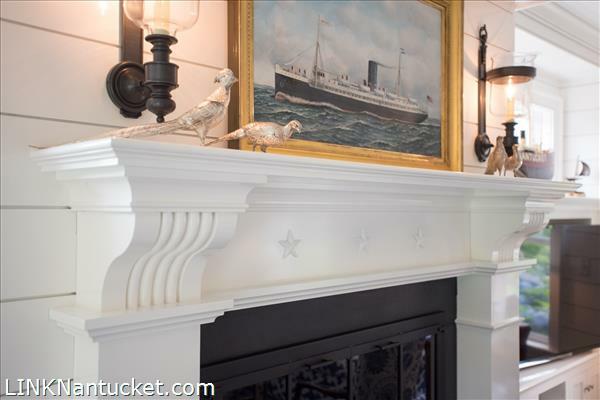 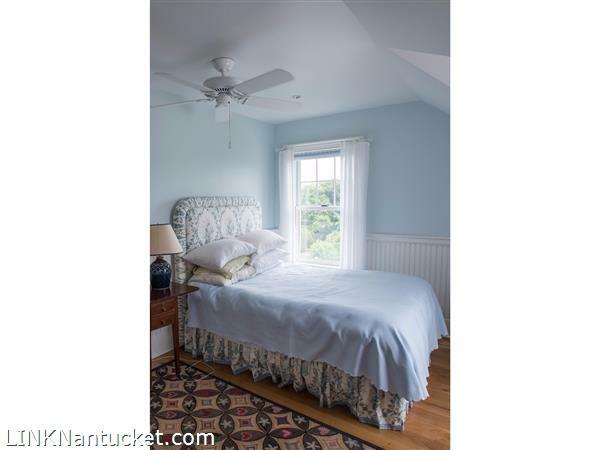 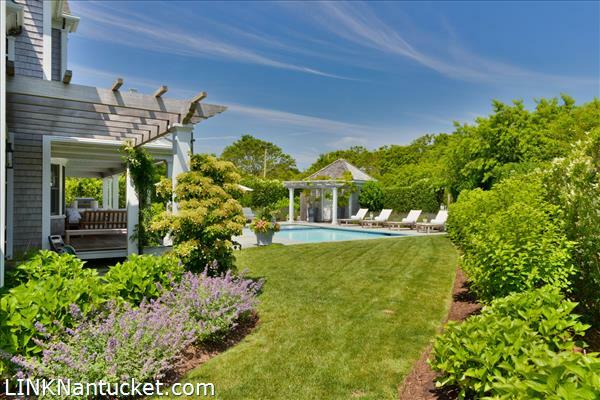 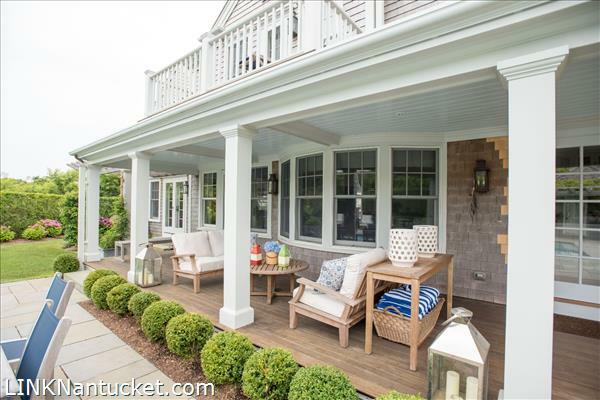 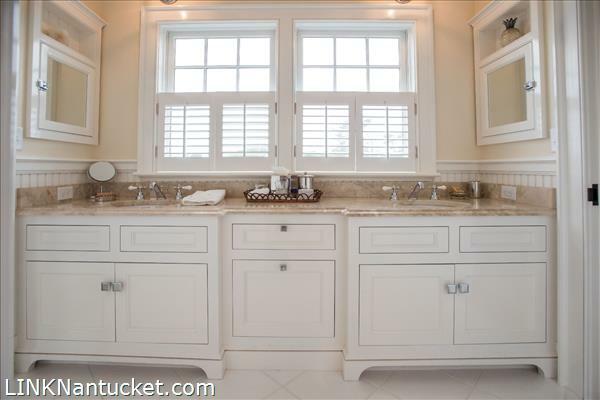 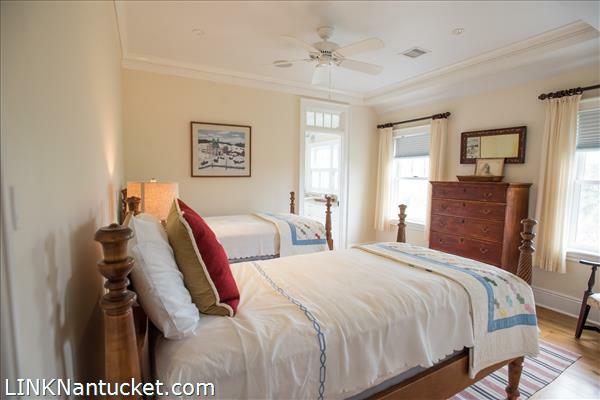 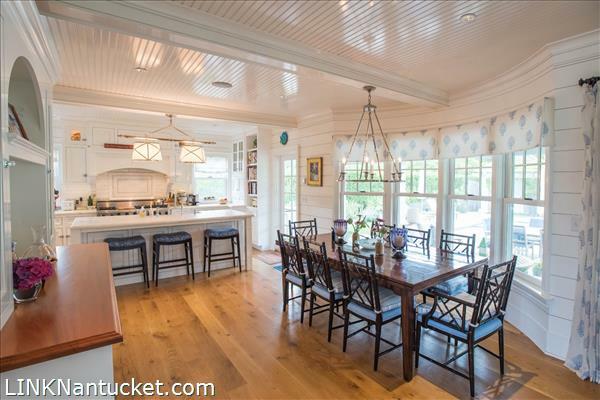 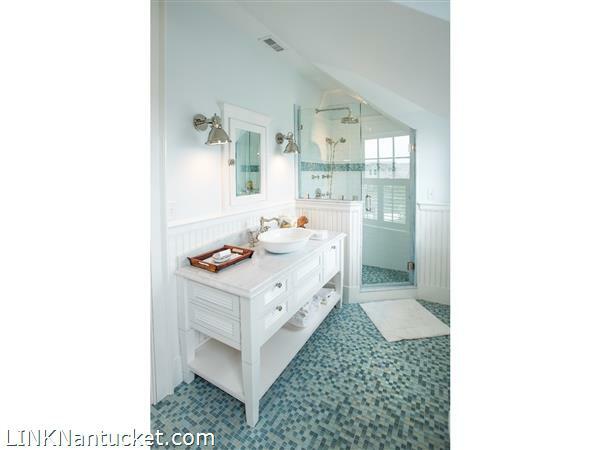 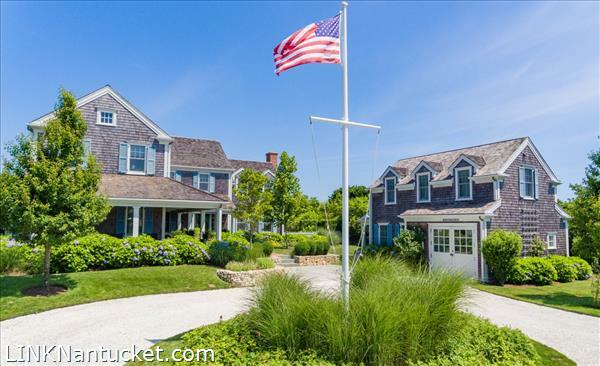 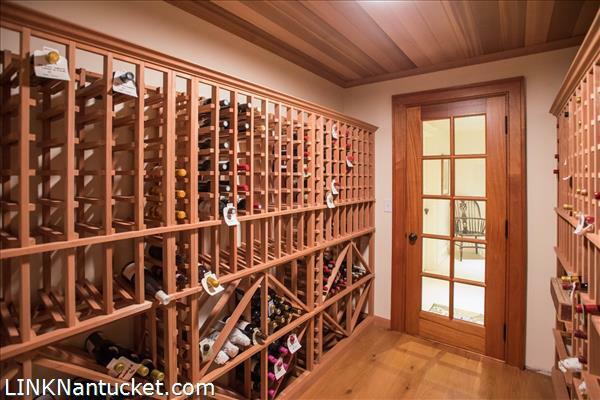 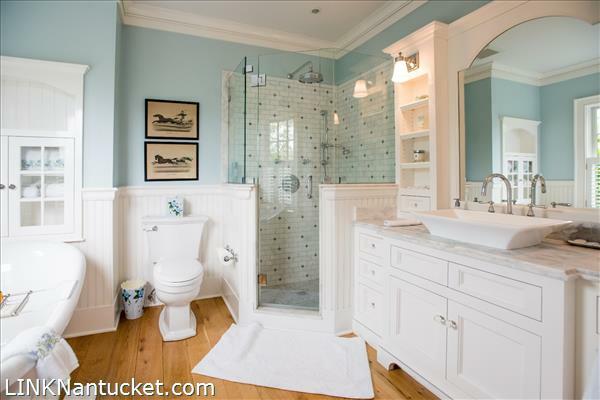 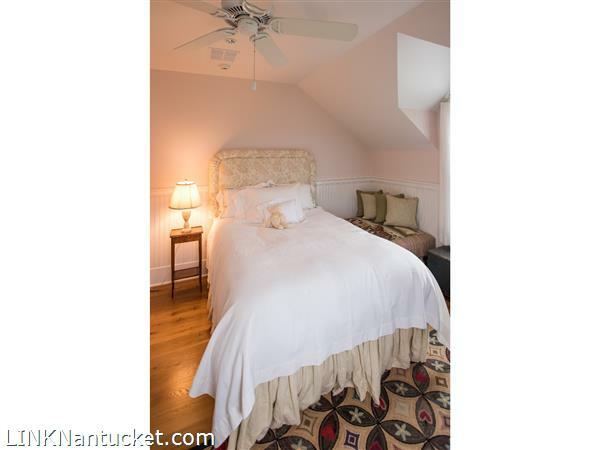 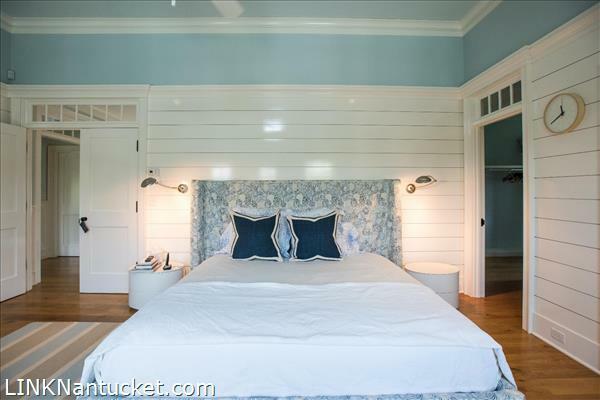 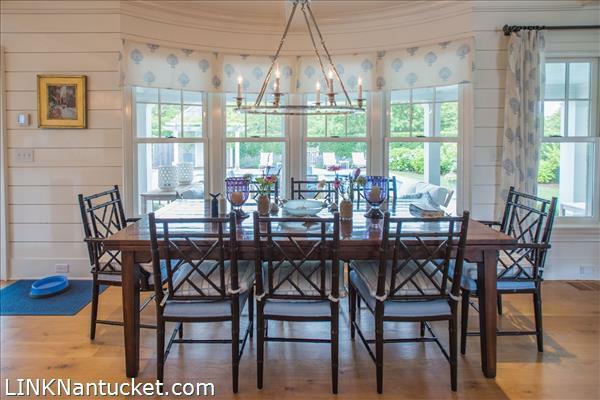 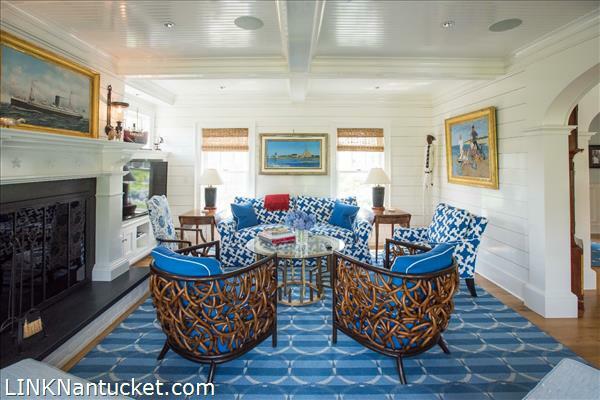 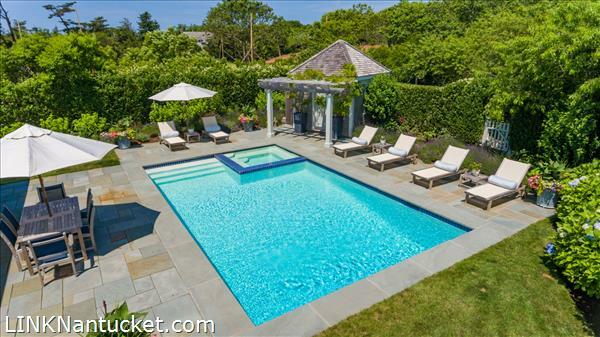 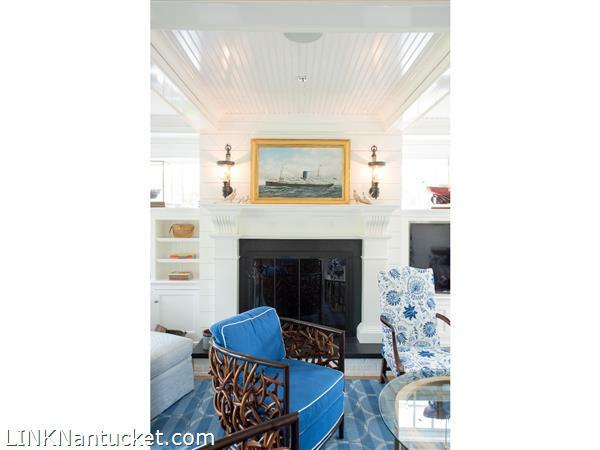 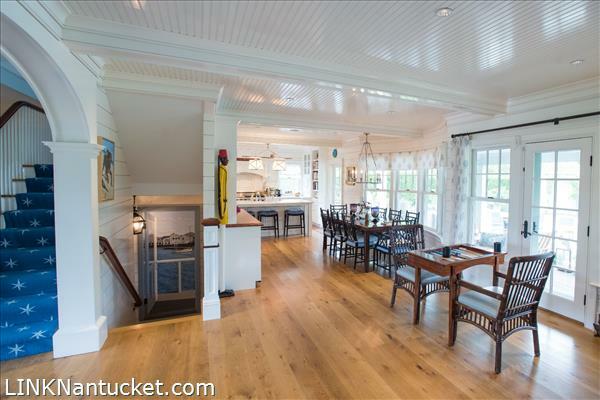 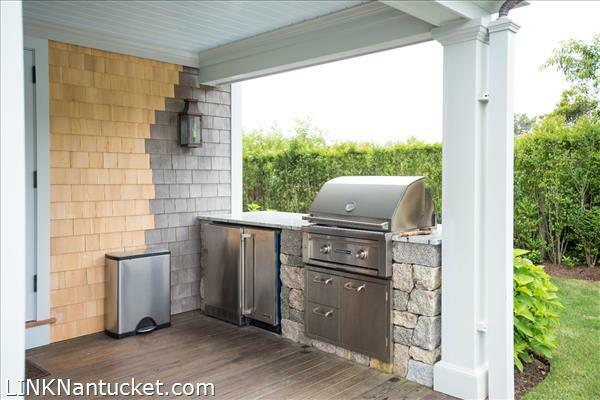 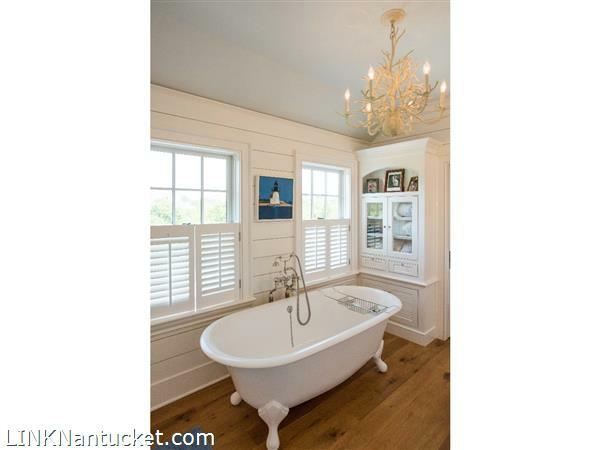 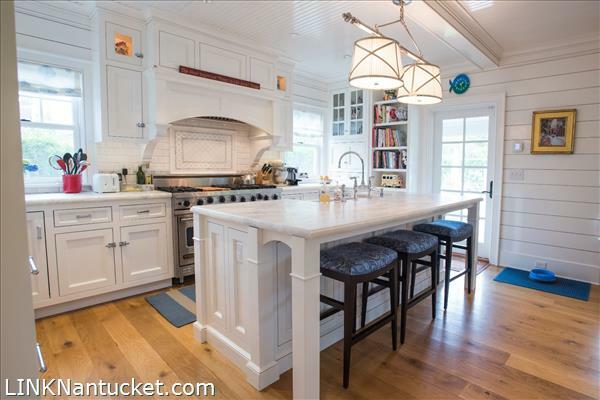 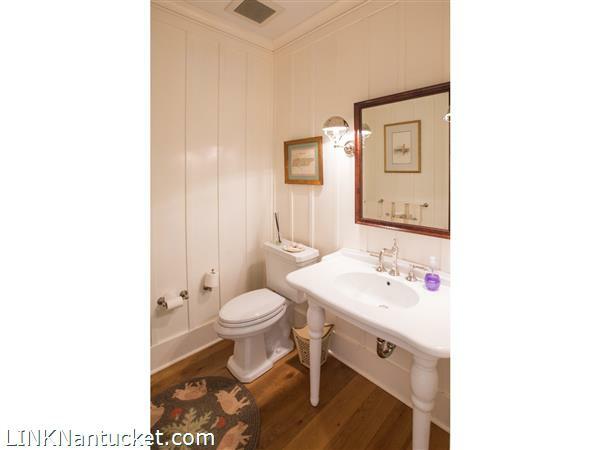 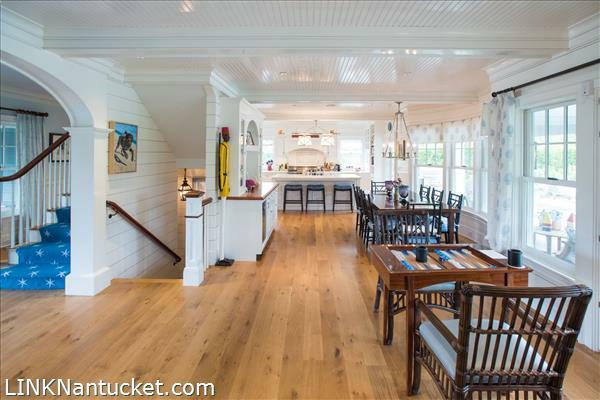 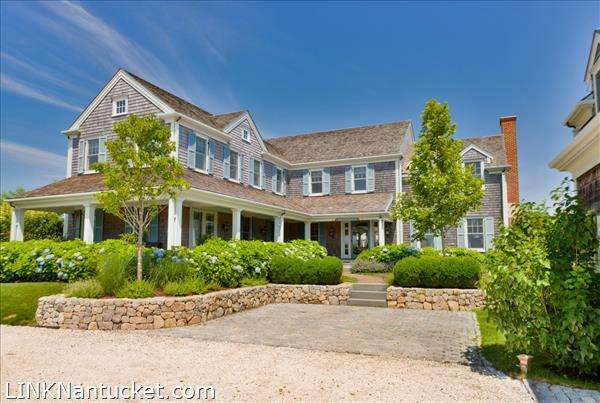 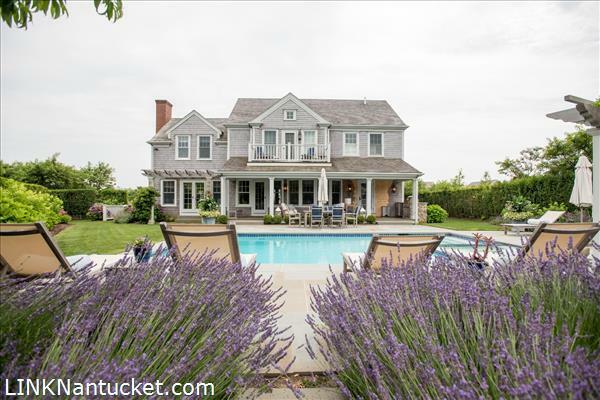 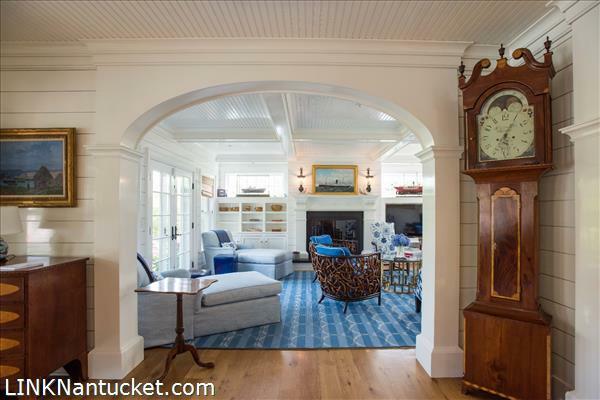 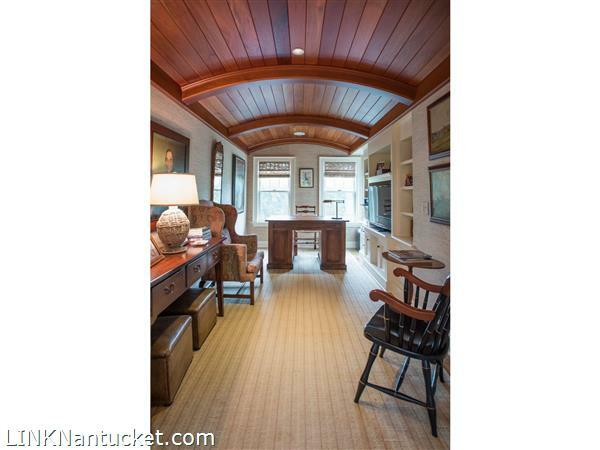 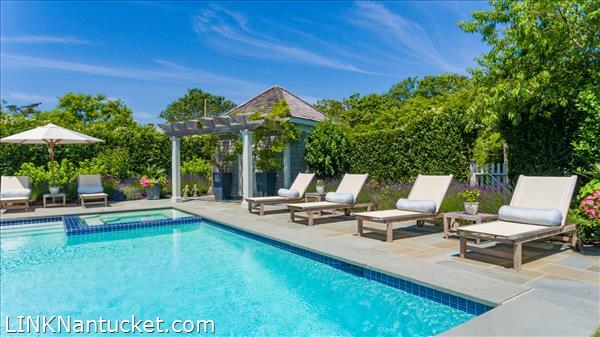 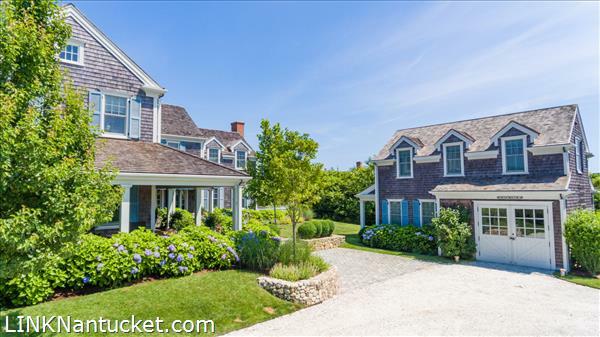 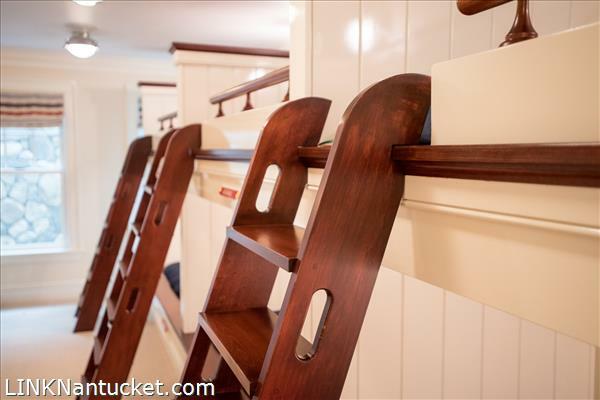 Complete with walking path to Hinckley Lane for deeded beach access to Nantucket Sound and one of the best beaches on the island. 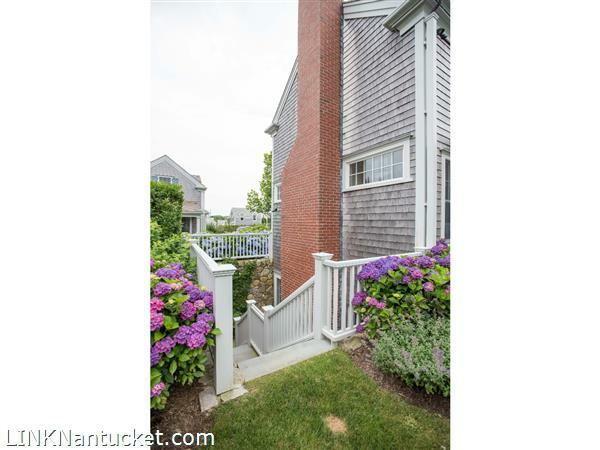 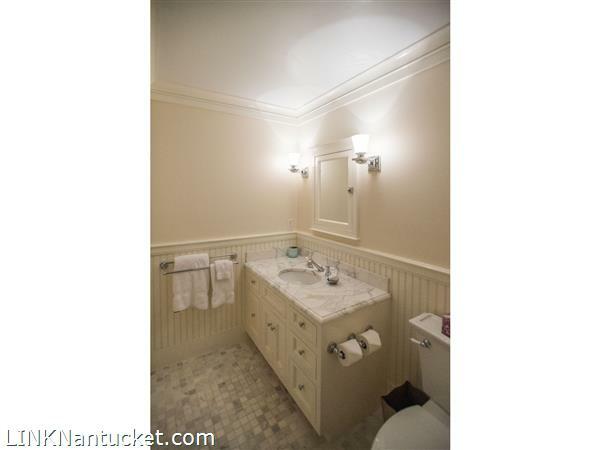 Located off the bike path and convenient to Town, Cliff, Tupancy, and the Westmoor Club. 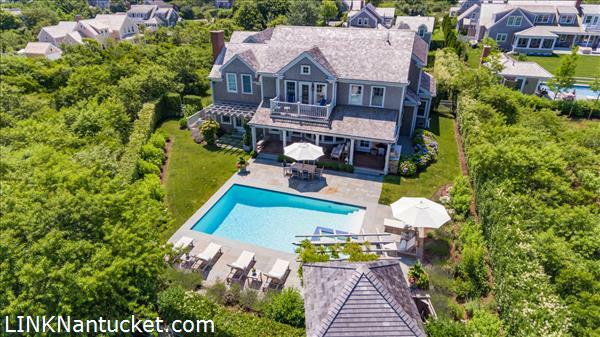 A rare offering on the Cliff ! 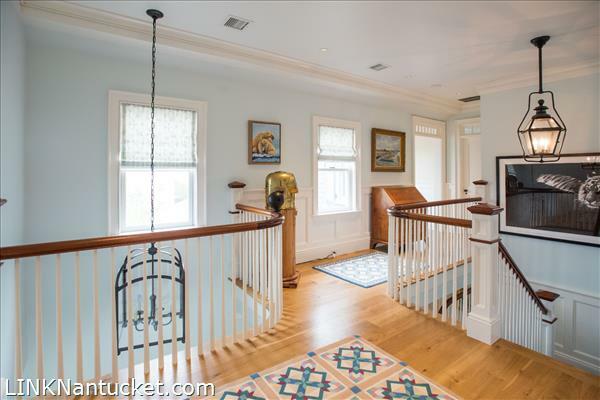 First Floor: Enter from covered porch into light filled foyer with vaulted ceiling and striking staircase to the second floor. 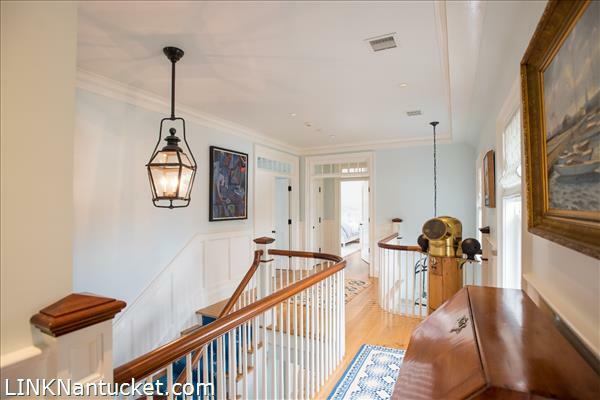 Foyer leads to dining area with built ins and french doors to covered rear porch and pool and gardens beyond. 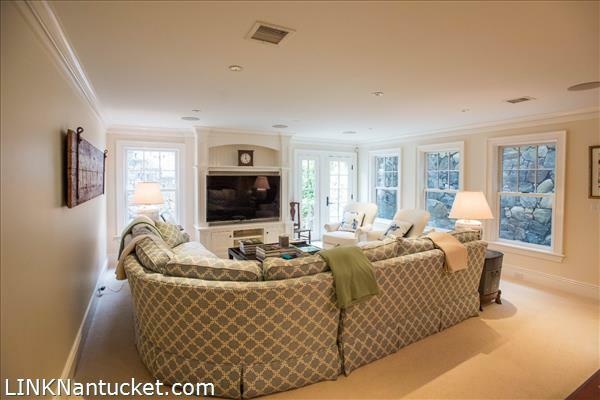 Through arched opening is the living room with raised fireplace and custom cabinetry. 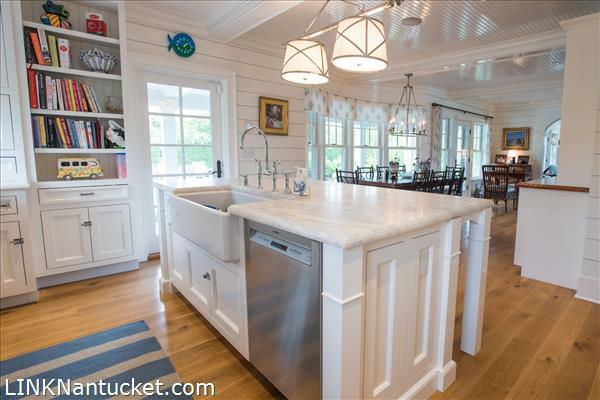 Gourmet eat in kitchen with marble island on the other side of the dining area also has access to the outdoor living and entertaining areas. 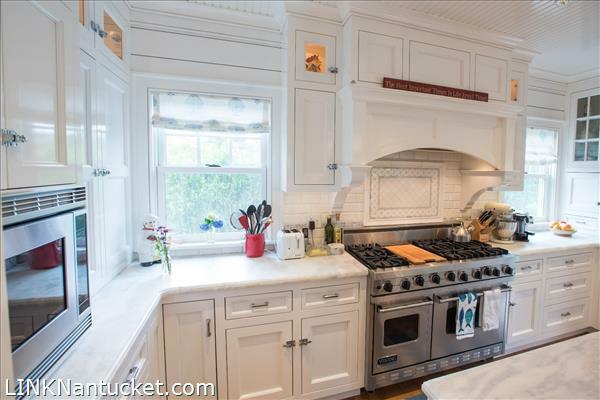 Service area behind kitchen offers pantry and other storage. 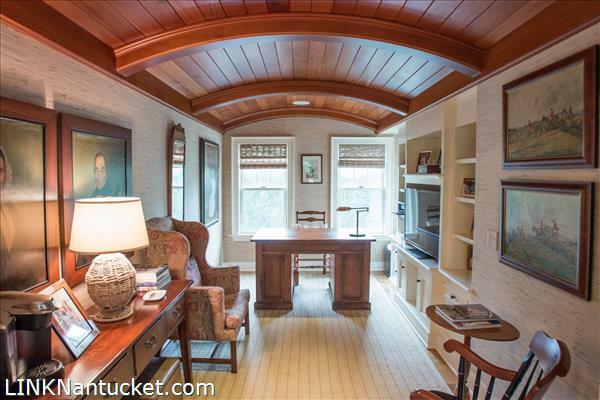 A hallway accessed off the main entrance or behind the kitchen leads to a private office with custom wood curved ceiling and wonderful built ins. 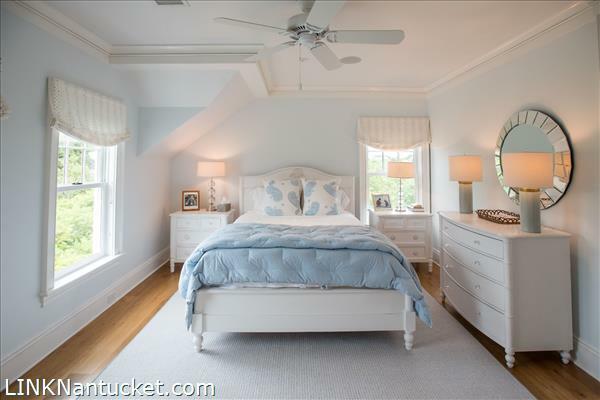 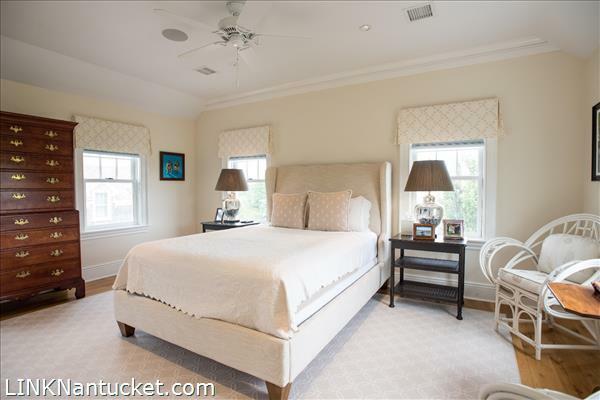 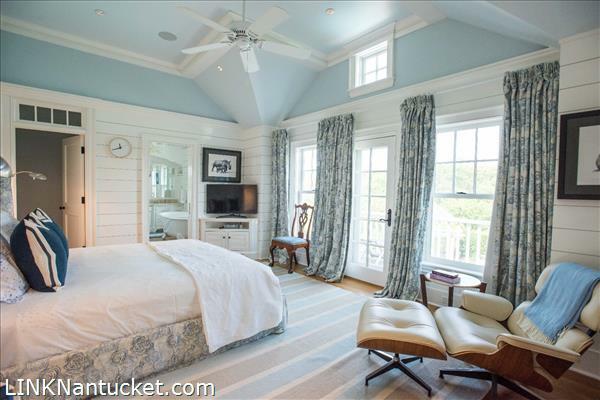 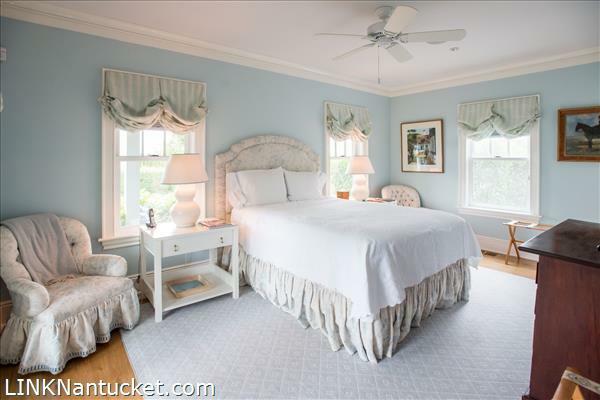 Beyond is a first floor master suite with double closets, views of the front gardens, and large private bath. 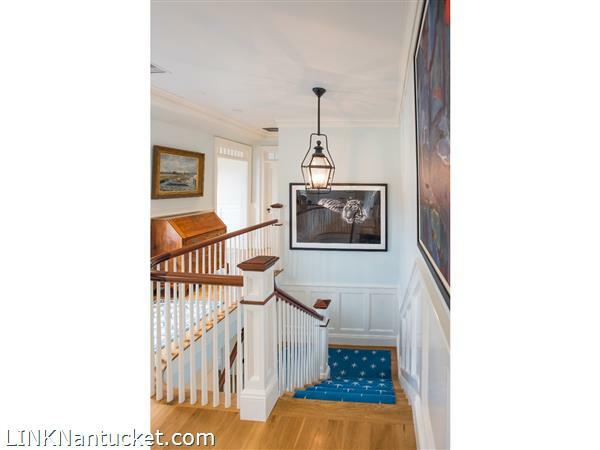 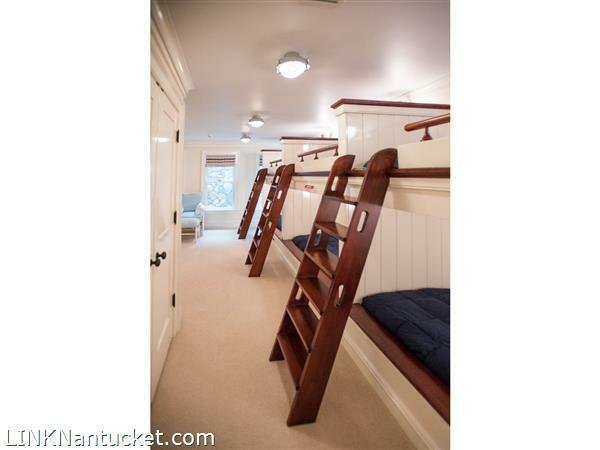 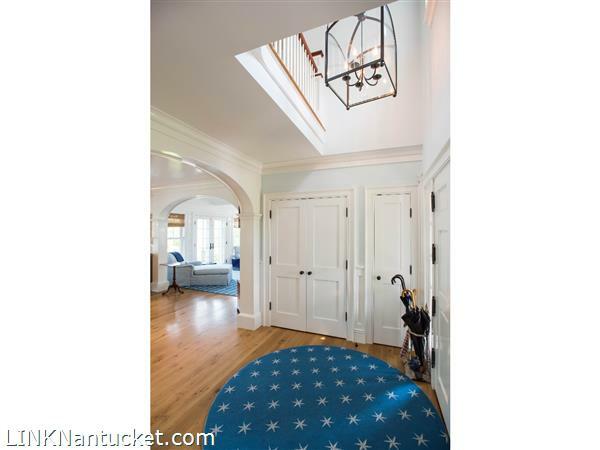 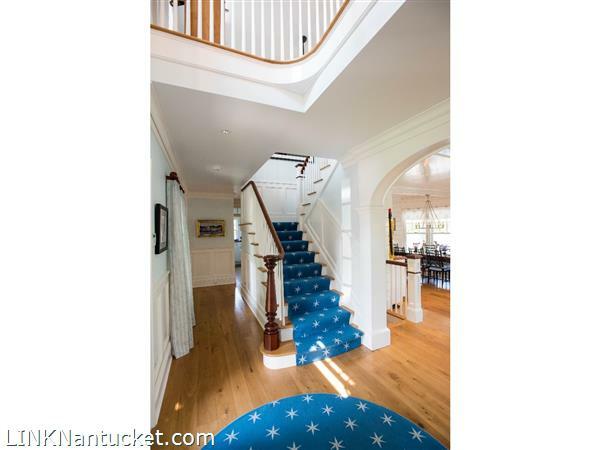 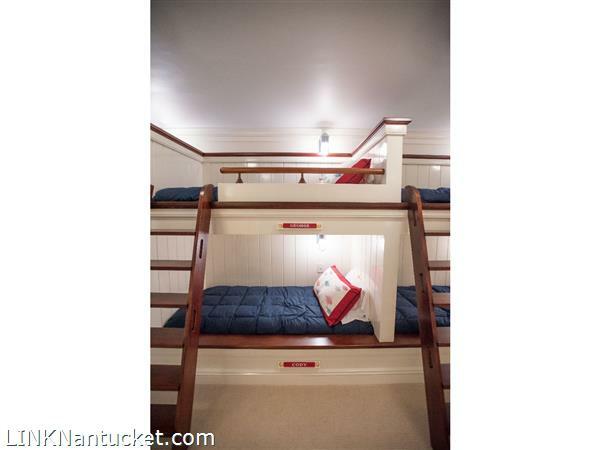 Second Floor: The beautiful staircase leads to a second floor landing offering bedrooms in three directions. 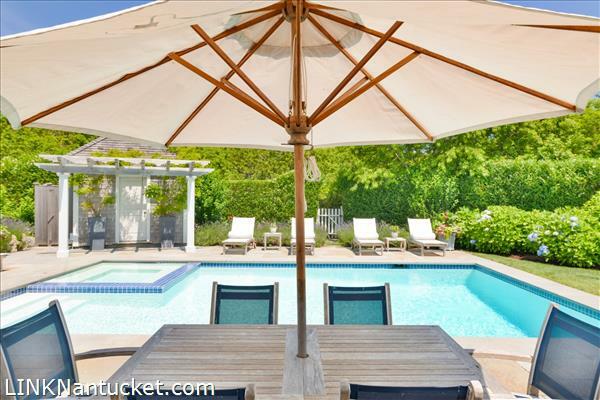 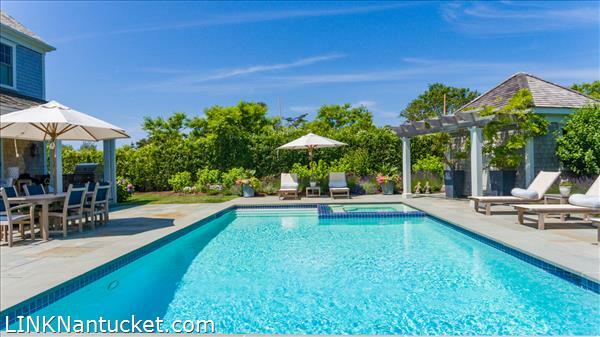 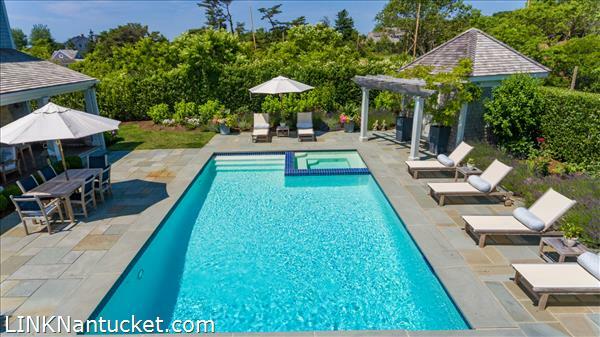 One to the North is the master with custom tiled bath and overlooks the pool and garden area. 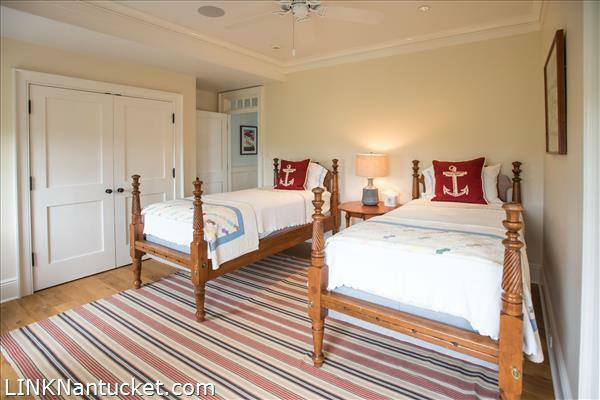 To the West are two more large bedrooms with jack and jill shared tiled bathroom. 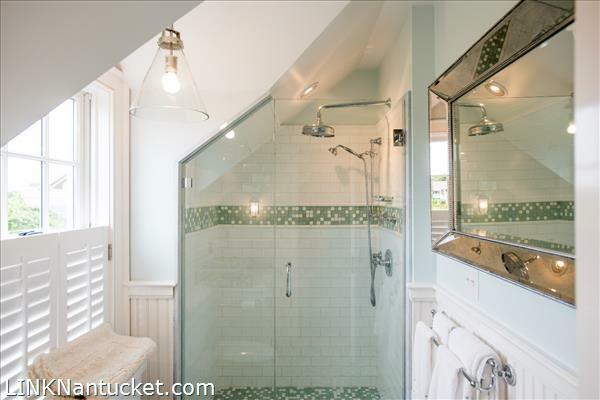 To the east is another guest suite with full tiled bath. 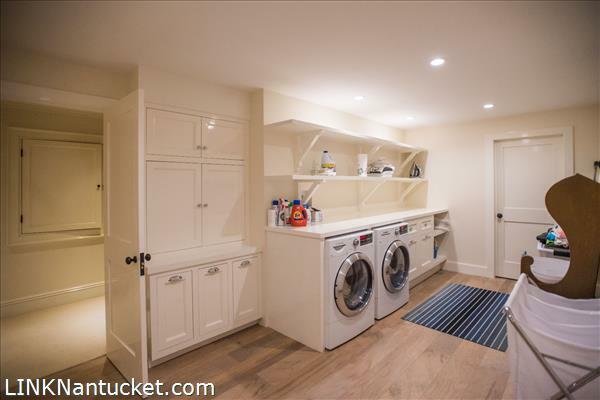 Second laundry closet on this floor. 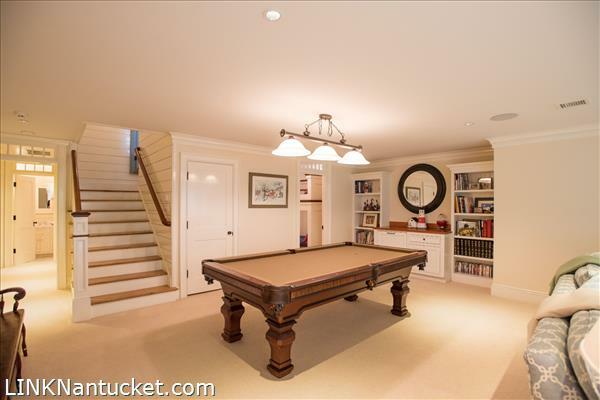 Basement: Full finished basement with large living area, exceptional custom bunkroom ( 3 sets), full tiled bath, large laundry room, wine cellar and ample storage room. 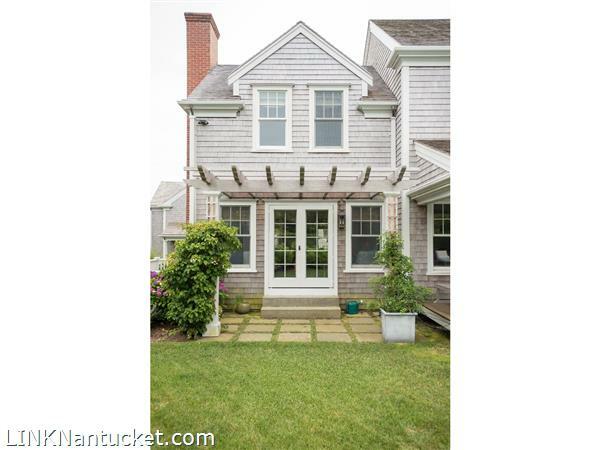 Second Dwelling: Cottage with attached garage.